1. Use AEC to remotely connect to your ASUSTOR NAS. 2. Use AEC to map shared folder from your ASUSTOR NAS to Windows as network drives. 3. Use AEC and the Wake On WAN function to wake your NAS from Sleep Mode or power off (supported on AS63/64 series only). 4. Use other services on your NAS. 1.Can open the ADM interface via the AEC utility and a Cloud ID to operate the NAS. 2.Can map shared folders from the NAS to Windows as network drives using the AEC utility and a Cloud ID. 3.Can use the Wake On WAN function to power on a NAS (currently only supported on AS63/64 series devices). Before using AEC, please ensure that the EZ Connect function has been enabled in ADM and that Internet Passthrough has been enabled. If these have not yet been enabled, you may not be able to use AEC to connect to your NAS. First download the ASUSTOR EZ Connect zip file from the downloads section of the ASUSTOR website (https://www.asustor.com/service/downloads). Unzip the file and then double click on it to start the installation wizard. Follow the instructions provided to complete installation. After installation is successful, you will be able to see the ASUSTOR EZ Connect shortcut icon on your desktop. Double-click on it to open ASUSTOR EZ Connect. When you run AEC, the new connection wizard will immediately pop up to help you create a new remote connection to your NAS. Please click on the Start button to being creating a new connection. Enter the Cloud ID for the NAS you wish to connect to. Tip: If you do not remember your Cloud ID, you can select [Settings] > [EZ-Connect] from within ADM to view your Cloud ID. AEC will use your Cloud ID to connect to your NAS. After successfully connecting, you will be required to enter your NAS username and password. If you check the [Remember password] checkbox, you will be able to login in to ADM more quickly the next time you use AEC. If a Windows Security Alert pops up during the connection process, please click on [Allow access] to prevent Windows Firewall from blocking AEC. If the connection fails, AEC will stop at the screen shown in Step 1. Please ensure that you have enabled EZ-Connect and that Internet Passthrough has been enabled as well. Also, please check that you are using the correct Cloud ID, username and password. After successfully connecting to your NAS, AEC will open to its main interface. You will be able to view the NAS connection settings and the toolbar at the top of the interface. We will describe the main interface and menu bar in more detail below. 1. The small icon for each connection represents its present connection status with the NAS. There are a total of four different icons that represent different connection statuses. You can click on the information button in the top right of the interface to view descriptions for each connection status along with additional information. The AEC interface also supports a wide variety of languages, allowing you use AEC with the comfort of your native language. The interface language can be changed by click on the settings button in the upper right of the interface. 2. NAS connection list: For each connection, AEC will list the Cloud ID, account and NAS model. In our example the Cloud ID is “leonyd”, the account is “admin” and the NAS model is “AS-302T”. Clicking on a successfully connected NAS will open your Web browser and the ADM interface for the NAS. After connecting to your NAS, the IP will show 127.0.0.1 with the numbers towards the end representing the Windows port in use. The reason why this is different from the regular IP or URL and NAS port that is commonly shown when connecting to ADM is because AEC has already converted your connection URL. When using AEC to connect to your NAS, after opening the ADM interface, an extra icon will appear in the toolbar in the upper right hand corner. This icon shows the current connection mode. The connection mode used is automatically determined by AEC according your NAS’s network environment. There are two connection modes: Internet Passthrough and Relay. If you are using Relay mode, the connection will disconnect automatically after 10 minutes before you need to reconnect it manually. ：Clicking on this button will bring up the wizard that allows you to add a new connection. ：This function allows you to map shared folders from your NAS to your computer as network drives. Simply select the NAS connection of your choice, click on the Map Drive button and then follow the instructions provided by the wizard. Afterwards, using the storage space on your NAS will be as convenient as accessing hard drives on your computer. For more detailed information about this process, please see section 3. 1. When using this function, please ensure that SFTP service (From ADM, select: Services > SFTP > Enable SFTP Service) has been enabled on the NAS and that associated port forwarding settings have been configured (From ADM, select: Settings > EZ-Connect > Advanced Settings). ：Clicking on a NAS connection from the list and then clicking on this button will allow you to edit the password you have to enter when connecting. You can also enable or disable the Remember password function here as well. ：If you discover that you cannot connect to your NAS normally, please click on this button to reconnect. If a NAS has entered into sleep mode or is powered off and supports the Wake On Wan function (e.g., AS6302T or AS6404T devices), this button will become . You can click on it to wake your NAS. Each time you start AEC, AEC will automatically reconnect to your NAS. If the connection fails, the red reconnect button will appear in the interface. You can click on it to try to reconnect to the NAS. ：Clicking on a mapped shared folder from your NAS and then clicking on this button will either mount or unmount it. ：Clicking on an already successfully connected NAS and then clicking on this button will open your Web browser and take you to the NAS’s ADM login screen. ：Click on this button to view the ports being used by NAS services and their corresponding Windows ports. The status for each service will also be refreshed each time you click on this button. For more detailed information on using this function, please see section 5. ：Click on this button to remove a configured NAS connection or mapped network drive. If you wish to check if you are using the latest version of AEC, please click on the small icon in the upper left hand corner of the interface and select [Check for updates]. If updates are available AEC will automatically download and install them with your permission. 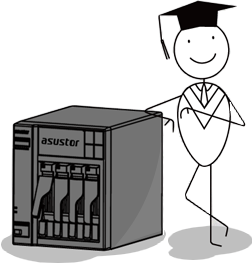 Currently, all ASUSTOR Apps can be run after using AEC to open the ADM interface. You can directly click on App icons in ADM to launch Apps. If you forget to configure port forwarding for an App, a notification will appear asking if you wish to enable port forwarding. After clicking on OK, please wait a few seconds and then you will be able to open the App. If you still cannot open the App, please reconnect to your NAS using AEC. You should then be able to use the App. Third party developed Apps currently cannot be used when connecting with AEC. ASUSTOR will continue to make improvements in order to support more Apps for use with AEC. In order to help you distinguish between runnable and unrunnable Apps, when using AEC, a small icon will appear in the bottom right corner of Apps that cannot be run. However, if you have multiple NASes with LooksGood installed, you will only be able to run LooksGood on the first successfully connected NAS. The App icon will change to the above when if it is unrunnable under an AEC connection. 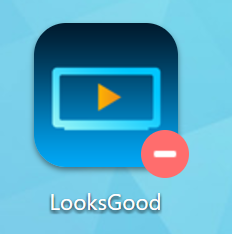 However, if the App that you cannot run is LooksGood, you only need to remove all other NAS connections in AEC, while maintaining the NAS connection you wish to use, and then reconnect to the NAS and you will be able to use LooksGood. When using AEC to connect to ADM, you will not be able to use the Share Link function to share files or folders. When you right click on a file, you will not be able to find the Create Share Link option. ASUSTOR NAS provides a drive mapping function that allows you to take your NAS or NAS shared folders and map them to your computer as a network drive. Afterwards, all you need to do is open AEC and you will able to immediately connect to your NAS and seamlessly access it from your computer, effectively expanding its storage capacity. The process of mapping a shared folder from your NAS is extremely simple and described below. Click on a NAS connection and then click on the [Map Drive] button. Select the NAS shared folder you wish to map and specify a drive letter and name for it. You can also select the [Auto-mount when utility starts up] checkbox if you want the shared folder to be automatically mounted when AEC starts up. After you have finished all configurations, you will be able to access the mapped network drive with Windows Explorer. In the AEC interface, you will also be able to see that the NAS shared folder has been mounted and mapped as a network drive. When using AEC to access your NAS, and your NAS is in sleep mode or powered off, you can use the Wake On WAN function to wake your NAS as long as your model supports it (e.g., AS6302T or AS6404T models). As long as your NAS has Wake On WAN enabled, you can use it to allow your NAS to resume power giving you remote access. Clicking on the wake button from the top of the interface or to the right of a listed NAS connection will allow you to remotely power on your NAS. After the NAS has been powered on, it will require a bit of time to restart ADM and all of its services. You will have to wait for a short period before being able to open the ADM Web interface from AEC. 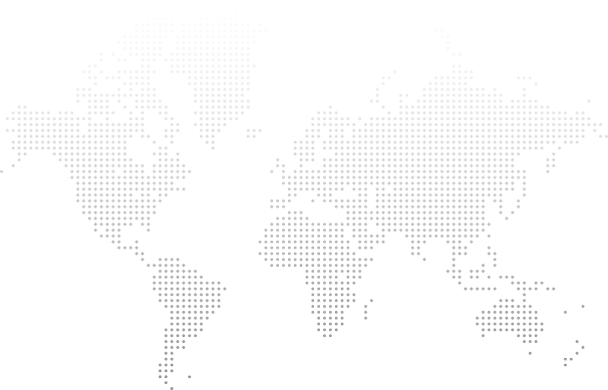 AEC also provides a passthrough service for SSH, FTP, Web Service, Web DAV and ADM Web Service. As long as you have enabled port forwarding for a particular service, AEC can forward the associated NAS port to the appropriate Windows port on your computer. AEC will also change the original IP that you use to connect to your NAS to 127.0.0.1. Therefore, if you want to use a service on your NAS, you only need to enter 127.0.0.1 followed by the Windows port from the port information list and you will be able to use the associated NAS service. Note: When port forwarding has not been enabled in ADM, you will not be able to use the passthrough service for services in AEC. Please navigate to [ADM] > [Settings] > [EZ-Connect] > [Advanced Settings] and enable port forwarding for the service of your choice. The new port forwarding setting will be applied the next time AEC restarts. Here we will use ADM Web Service (the ADM login page) as an example. After checking the Windows port listed on the port information page, we know that the ports that are used are 56823 (http) and 56824 (http). Now all you need to do is enterhttps://127.0.0.1:56824orhttp://127.0.0.1:56823 into the address bar of your Web browser and you will be able to open the ADM login page. If you need to use the FTP service on your NAS, first check the port listed under port information for FTP service. When using FTP software or Web browser to connect, simply enterftp://127.0.0.1and then enter the Windows port listed under port information (21 in our example) and you will be able to connect to your NAS’s FTP server. If you wish to use SSH to connect to your NAS, please first click on the [Port Information] button and find the associated Windows port for SSH service. Now, use an SSH connection program (such as putty) to connect to 127.0.0.1 using the Windows port listed for SSH service (22 in our example). Enter your NAS’s username and password and you will be able to log in. Note: Other NAS services such as Web Service and WebDAV can be used in the same way.